Vibrant posters for children between the ages of 4 and 17. 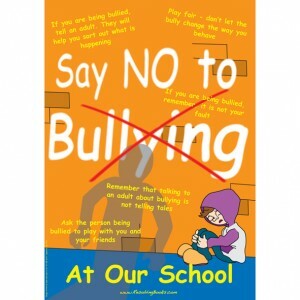 An ideal poster to help children deal with bullying. The poster has many supportive messages aimed at the child being bullied, other children who experience bullying around them as well as the bully them selves. The full colour A3 (42cm x 30cm) are printed on high quality heavy gloss paper and come in packs of 15. For prices and enquiries please call 01 450 8057 or email store@ogx.ie. 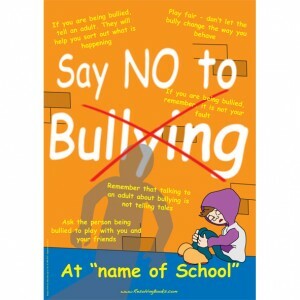 Category: Anti Bullying Products for Schools. This poster is also available in high quantities which are discounted at high quantities. It is also available as an Irish Language Poster for Gaelscoil. Price of €45 includes 23% VAT. © by OGX Group, 2013. All rights reserved. Powered by Wordpress & WooCommerce. Based on the Mystile theme.